APR 16 (WTN) - There was a time when the Lok Sabha Elections were held through the ballot papers, and due to the time spent in the counting of the ballot papers, election results were declared in two to three days.But since the Election Commission has started the use of EVMs (Electronic Voting Machine), the results of the Lok Sabha and the Assembly Elections are declared in a few hours. The previous Lok Sabha elections were completely done with the use of the EVMs. Due to use of the EVMs, the results of the 2014 Lok Sabha Elections were declared by 3 o'clock in the afternoon. But even after the elections’ being held with the help of the EVMs, this time there may be a delay in the results of the Lok Sabha Elections. Yes, this time there may be a delay of at least 4 hours for the results of the Lok Sabha Elections. This is because after the order of the Supreme Court, 4 hours to be taken extra time to count VVPAT slips. For your information, let you know that after the Supreme Court order, during the counting of votes in the Lok Sabha elections, five VVPATs slips from each Assembly Constituency will be counted after the EVMs votes are counted. Due to this whole process, Lok Sabha Election result will take 4 hours extra. Let you know that VVPATs will be kept in the Strong Room along with EVMs. On the day of counting, VVPAT slips of five polling booths of each Assembly Constituency and the votes recorded in the EVM of the same center will be matched. 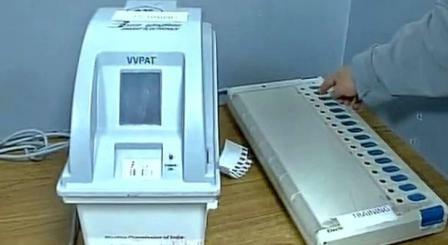 After the last phase of the counting of votes from EVM, the VVPAT slips will be counted. After the voting, the Presiding Officer, in the presence of the polling agent, will remove the VVPAT battery. After this, non-battery VVPAT will be sealed with EVM in the strong room. After the calculation of VVPAT slips, the Returning Officer will send a certificate of the polling centers to the Chief Electoral Officer of the state. The Chief Electoral Officer of the concerned state, within seven days of the counting of the votes, will send the full report to the Election Commission. VVPAT's full name is Voter Verified Paper Audit Trail. Bharat Electronics Limited and Electronic Corporation of India Ltd. made the machine design in year 2013. VVPAT was first used in the 2013 Nagaland Elections, after which the Supreme Court had directed the Central Government to make VVPAT machines and provide necessary funds for it. 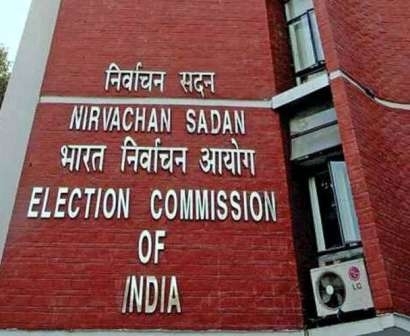 In order to bring transparency in the election, the Election Commission had decided in June 2014 that VVPAT will be used in the all polling stations in the 2019 Lok Sabha Elections. Here, 21 opposition parties, led by Andhra Pradesh Chief Minister Chandrababu Naidu, will once again go to the Supreme Court about 50 per cent EVM-VVPAT matching. Opposition parties have urged the Supreme Court that the Election Commission must match at least 50 per cent of the votes of EVM-VVPAT in each Assembly Constituency. But even after the use of EVM and VVPAT, it is a matter of concern if opposition parties are suspicious of the Election Commission's impartiality. The Election Commission is a constitutional body and since the independence of the country, the Election Commission has proved its impartiality and commitment in every election. Here the BJP has alleged that due to fear of defeat of the opposition parties, they doubt on the functioning of the Election Commission. Well now let’s see what the Supreme Court directs on the demand of opposition parties?